What better way to enjoy the romance of the garden than by growing roses? Rose gardening has gotten a bad wrap in recent years. Growing roses doesn’t have to be a challenge. Choose the right roses for your growing conditions and you’re half way to having a spectacular rose garden. Learn the basics of caring for roses and your rose bushes will be the envy of the neighborhood. Here, in a nutshell, are the 4 magic ingredients for making your roses happy and your rose garden a reality. Thank goodness there are thousands of rose varieties; more every year. Rose gardeners have all sorts of hopes for their rose gardens. Whether you want a prize-winning hybrid tea rose, old fashioned cabbage roses, sprawling ramblers and climbers or just a whiff of the way you remember roses smelling, there’s a rose for you. It’s true there are certain pests and diseases that roses are simply prone to. At some point, every rose gardener will encounter black spot, Japanese beetles, rose chafers and mildew. Don’t let that deter you from rose gardening. It is possible to control problems or to avoid them all together. It’s even possible to rose garden organically. It just takes regular care and some gardening common sense. Perhaps the most confusing and intimidating aspect of rose gardening is pruning. How to prune, when to prune? This is just a matter of knowing what type of rose bush you have and then gaining a little experience. Don’t worry, it’s harder to kill a rose bush by pruning than by neglect. When and How to Prune Your Roses. 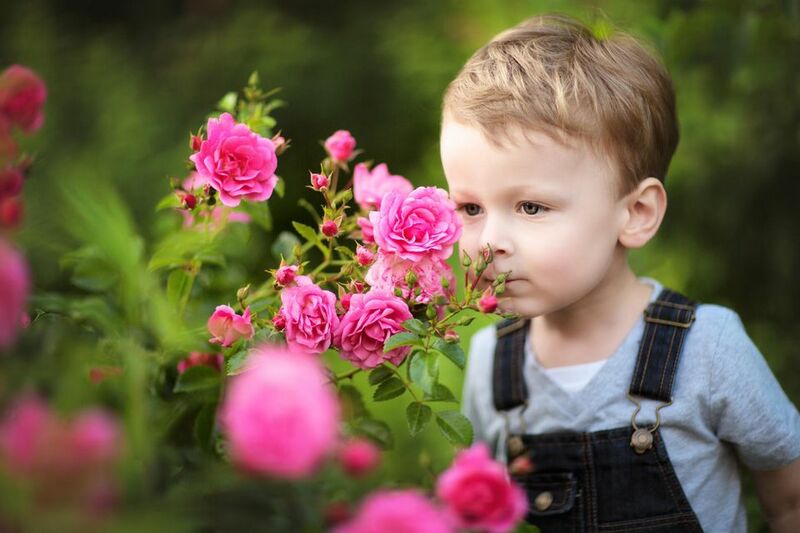 You have to stop and smell the roses. I’d say there’s no sense in having a rose garden if you’re not going to enjoy it, but there’s really no way that could happen. No other flower elicits such universal pleasure. So here are some tips for sharing the joy of roses.